Gökşin Sipahioğlu, Turkish photojournalist and founder of the photo agency Sipa, passed away on Wednesday morning at the American Hospital of Paris at the age of 84. 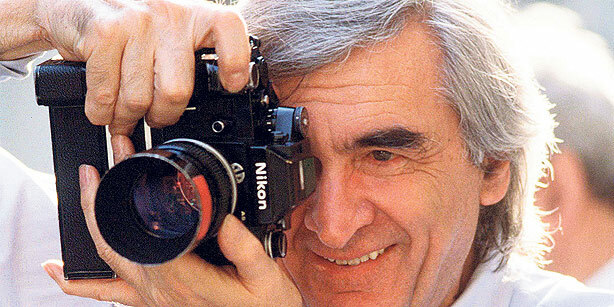 A man of revered status in the photography world, the news was announced by news photo editor Guillaume Delpech on the agency’s website. Commenting on the death, veteran Turkish photographer Ara Güler, who worked at length with Sipahioğlu in their earlier days, said that first and foremost Sipahioğlu should be remembered as a great journalist. “He captured and exhibited excellent works across the world, he established Sipa and through that vehicle he offered so much support to journalists and photographers. It was actually the case that I, Güneş Karabuda and Gökşin were going to establish Sipa together but at that time Güneş and I didn’t really take the prospect seriously. Gökşin, on the other hand, did, and established the agency himself -- an agency which, of course, was to become one of the biggest photojournalist agencies in the world,” Güler said. Acclaimed Iranian-French photojournalist Reza Deghati explained that the pair met for the first time in the Sipa office in Paris in 1979. “This was a man who offered incredible support to young photographers. I showed him some of the images I had taken during the Iranian revolution and he asked, ‘Would you like to join us?’ At this stage I strongly intended to work as an architect but he reasoned with me, told me I would be a great photographer and thus I carried on with photography,” Deghati recalled. Born in İzmir Turkey, Sipahioğlu, nicknamed the “Grand Turk” in France, studied at St. Joseph High School in İstanbul and founded the Kadıköy Sports Club (nowadays the Efes Pilsen basketball team) before going on to study journalism at İstanbul University. Quickly earning a name for himself in Turkey, Sipahioğlu had his first big break with his 1956 series of photos of injured Egyptian soldiers in the Sinai Desert. Working as an editor for various major Turkish publications, Sipahioğlu went on to capture everything from the tense days in Havana during the Cuban Missile Crisis, where his photos made the front pages of 45 American daily newspapers, to the French riots of May 1968. Sipahioğlu founded Sipa, a title inspired by his family name, in 1973 with long-term partner Phyllis Springer. The pair married in 2002.